It was 1986, a volatile time in Haiti, when Sr. Claire woke to the cry of an infant on her porch. The child, a little boy, had been abandoned. Sr. Claire took him to the hospital to be examined and was told that he was about 3 days old. Taking the child under her care, was the beginning of a new ministry for Sr. Claire. 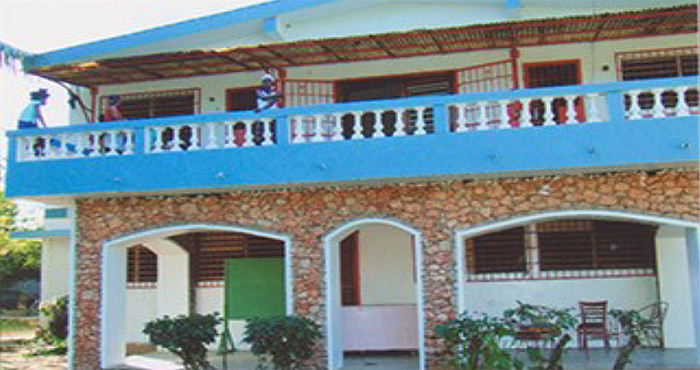 She went from teaching school to founding “Mary Gate of Heaven Orphan-age.” in Haiti. 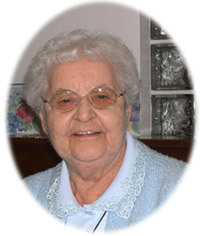 Sr. Claire spent 36 years caring for and loving countless children. The education of “her kids” was a prime concern, No child was to be left behind. Thanks to generous benefactors, Sr. Claire’s kids were able to go to school. Some later pursued a trade, others a secondary education. In 2006, Sr. Claire’s declining health brought her back home. From her room at Holy Cross Health Center, she continued to care for the orphans in a multitude of ways. [She met and befriended] Anne Schmidt, the HR person at our nursing home. [...] Anne decided to travel to Haiti to experience the workings of the orphanage and to reassure Claire that “her kids” were being well cared for. Wanting to alleviate Claire’s concerns, Anne formed a committee and undertook fundraising for the orphanage. The committee’s main objective is to raise money for the children’s education as well as to help those who have aged out of the orphanage and who long to pursue their education. The major fundraiser is the sale of Raffle Calendars at a number of churches in NH. Volunteers, members of the committee have spoken in 16 churches. Since 2014 this project raised over $100,000. This allowed the orphanage to purchase a truck for the transportation of the children to and from school, along with 10 to 12 barrels of shoes and school sup-plies. The committee intends to continue the calendar drive on a yearly basis during the Lenten sea-son, so that “the kids” can have a better future . Certainly, Sr. Claire is smiling upon these devoted people saying. . . “in the name of my kids, Well Done."